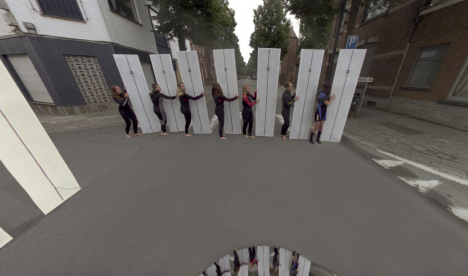 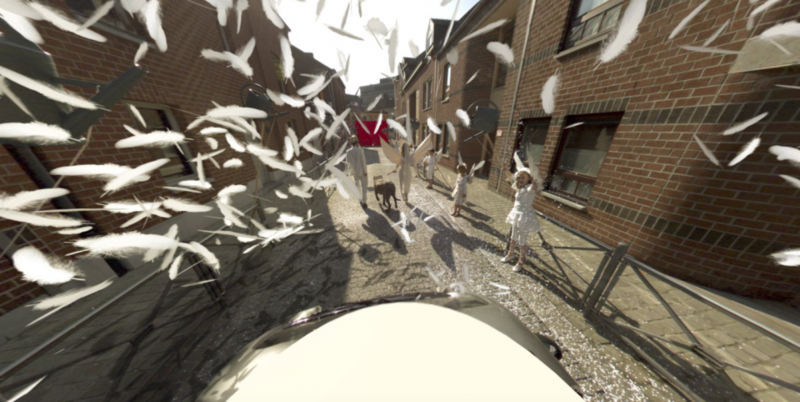 Mons, Belgium might just be the most interesting and artistic-looking city on the entirety of Google Street View, full of seemingly spontaneous dramatic scenes like chaotic clouds of floating white feathers, painters turning sidewalk crossings neon pink, and basketballs falling out of trees like fruit. 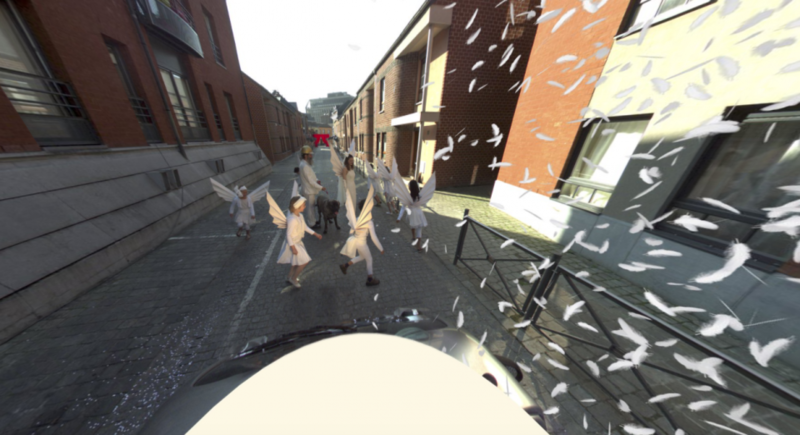 The theatrical performances are timed to coincide with the arrival of Google’s camera-equipped van when it comes along to map out the area. 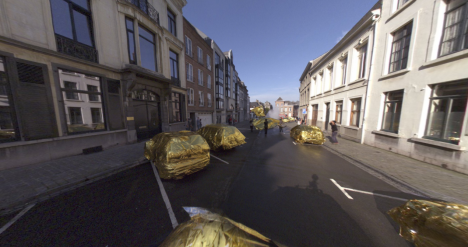 Mons Street Review, spearheaded by artists Ludovic Nobileau and Antonia Taddei, is an initiative put on by the city as part of its agenda as a European culture capital. 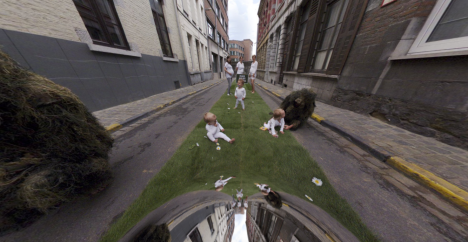 The scenes are curated by citizens, who transform the streets into urban theater sets and pose as the camera passes. 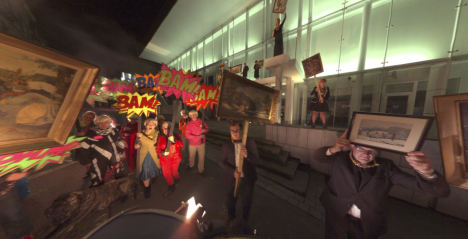 The artists encouraged people to come up with their own ideas, create their own roles and costumes, and arrange props however they like. 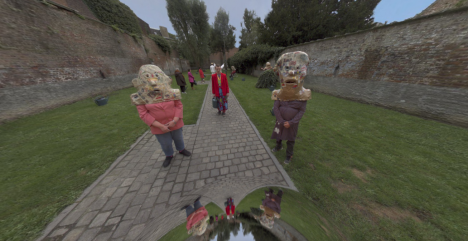 About 900 people participated on 42 streets, essentially hijacking Google’s service to promote themselves and their city.